ARN honoured the industry’s finest on a standout evening for the Australian channel, recognising the achievements of established and emerging partners under the Big Top in Sydney. Encapsulating a year of great change for the local market, the highlights of the past 12 months were once again played out on the grandest stage, in front of over 650 of the country’s leading industry figures. Hosted by Adam Spencer, the eleventh awarding of the channel’s finest set the stage for three ARN Hall of Fame inductees; Ronnie Altit, Warren Nolan and Karl Sice. Keynoted by Hall of Fame inductee - Philip Cronin - the packed house at the Hyatt Regency in Darling Harbour played host to a milestone occasion. Reflecting the health of the local channel, more than 50 partners made the final shortlist in 2017, as well as over 20 technology start-ups from across Australia. 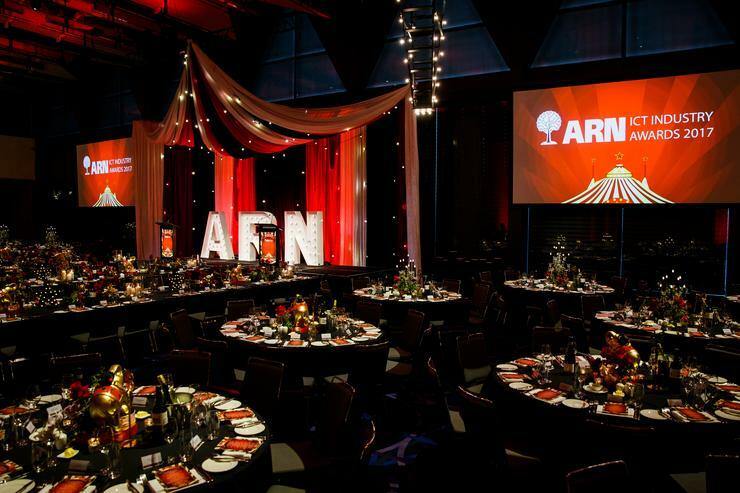 The end result was the most diverse and wide-ranging partner line-up in the history of the ARN Awards, with the biggest night on the channel calendar playing host to the leading innovators of the past 12 months. Completing the finalist line-up, more than 35 vendor organisations were also in the running, alongside over 15 distributors. ARN congratulates all winners, finalists and nominees, and thanks a judging panel comprising of over 140 of the industry’s leading influencers. Datacom wins this award in recognition of Voice of the Customer, a series of customer feedback sessions carried out both internally and through the support of an external agency. Datacom has so far conducted 230 interviews, over 13,000 minutes of recordings and 1400 pages of transcripts, filled with customer feedback and guidance. Andrew Thomas wins this award for his work founding AtlasPlato, a management consulting firm focused on developing data-driven organisations. Despite launching less than 12 months ago, AtlasPlato is already competing and winning against the Big 4 in its first year of operation. Amazon Web Services wins this award in recognition of ‘SAP on AWS’, an initiative that included several partner enablement and go-to-market customer activities. The result is a host of local customer wins, with SAP on AWS now becoming the new normal across Australia.